Some of the issues that can arise for a disabled traveller, are much like the same issues that might occur in day-to-day life. Problems with accessibility, attitudes towards disability, plane travel and more. 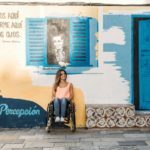 Seeing as that I myself am a travel-loving wheelchair user, I’ll mostly be portraying these points with a personal twist – speaking from past experiences and giving some scope on the issues that can arise for a disabled individual looking to travel more. So without further ado, the five main problems are as follows. 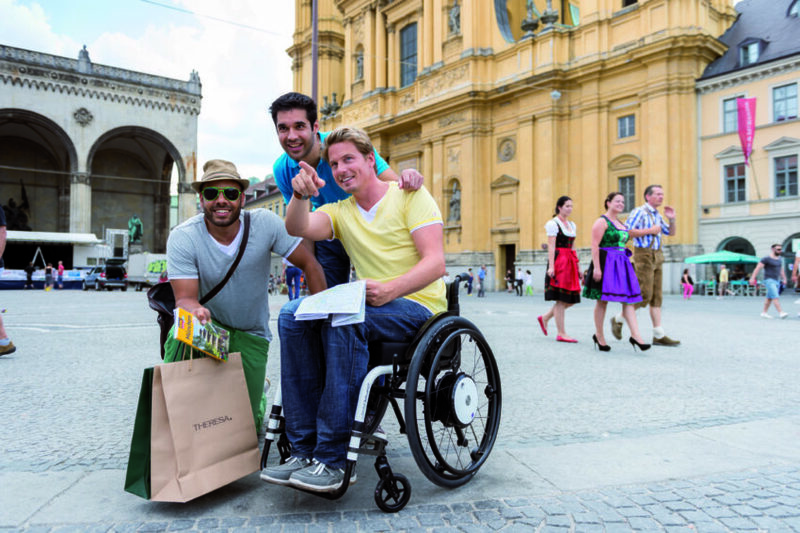 When you’re off exploring the world and you have a disability, there are many factors which can come into play that will have an adverse affect on your accessibility needs. It goes without saying that in far-flung destinations, such as the depths of South East Asia or the brisk coldness of rural Canada – accessibility and/or wheelchair access aren’t going to be a top priority for those living there. Whether it be due to lack of education, funding or desire to make a difference – some areas of the world are difficult to negotiate for a disabled individual. 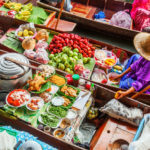 Speaking from personal experience, it’s a lot harder to navigate your way around the streets of Vietnam, pushing your wheelchair through throngs of traffic (due to the sidewalk being completely inaccessible) – than it is to deal with a tricky step into your favourite coffee shop in your local town. Travelling brings with it its own unique set of complexities – and given that all disabilities are different, and with that, all needs are variable, there’s no hard and fast rule on what’s deemed accessible for all. 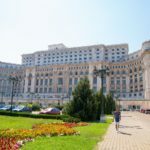 This one is true for just about every traveller embarking on a new journey – once you get to where you’re going, how are you going to liaise with locals if you don’t speak the language? 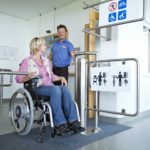 This issue brings with it further problems if you’re travelling with a disability, as suddenly, not only are you not able to ask simple questions such as “where is the toilet?” – but perhaps more worryingly, you’re not able to articulate your concerns should something more serious be occurring – such as a medical situation. A top tip that I’d give is to learn a few useful phrases for if you ever get stuck. Perhaps if you can’t remember them off-by-heart, you could write them down on a piece of paper, with the translation there for you to follow, and then you can simply point to the phrase you’re trying to say and the local will be able to understand what you want. This one is a big one – and I’ll keep it fairly ambiguous so that I’m not singling out any one nation in particular. Essentially, this point gives way to the fact that in Western World, we’ve made huge strides towards maintaining a fully-inclusive society – and we’ve embraced acceptance for all walks of life; including disability. But I think it’s fair to say – based on my own experiences – that some countries around the world aren’t at the same level of acceptance as the rest of the West. I’ve experienced some major prejudices around the world, which is upsetting, but at the same time – merely a fact of life. I touched upon it earlier – the notion of education – and I feel that any frosty receptions towards me as a wheelchair user in a far off distant land, purely comes from a place of ignorance, and not understanding more about disability and the way in which disabled individuals live their life. On the other hand, I should give kudos to some countries where I did not expect to find full acceptance, but instead discovered some of the most hospitable, and compassionate people – all of whom were just too happy to help me in any way that they could. Countries such as Thailand and Malaysia spring to mind in these scenarios. Luckily for me, this is not something which I personally have to contend with – unless you class allergy tablets as a medical supply. But I know for many others travelling would be impossible if it wasn’t for the equipment and medical supplies that they have to take with them. This point was highlighted to me a few months ago by a friend, who pointed out that although I travel with just a backpack – my friend would automatically require at least twice as much luggage, as he would need space for an almost endless supply of catheters, hand sanitization and more – simply to enable him to go to the toilet independently. It’s true that you’re less likely to be able to find these items whilst in a foreign land, so you must ensure that you’ve packed enough – which of course, increases your luggage. Equipment could also come in the form of a travel shower seat, for example. Some disabled individuals require such apparatus in order to be able to shower efficiently in their hotel. Like I said earlier within this article – each disabled individual is different and with that, their own personal needs vary massively. For me, getting in and out of a plane has never caused too much of a problem – but I’ve often heard of complete horror stories where wheelchair users have had their wheelchairs broken beyond repair by baggage handlers whom do not know how to transport a wheelchair safely. I can think of nothing worse than arriving at your destination, only to find that your wheelchair is unusable and that you’re stuck with whatever wheelchair the airport can temporarily provide. Of course, you’ll be compensated by the airline, but that doesn’t help in the immediate aftermath – disaster! The process of boarding and exiting the plane, however, is fairly straightforward – with assistance provided at every step of the way – should you request it. 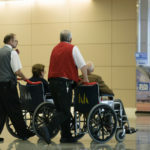 In my situation, I usually meet the assistance at the boarding gate, and once there I transfer from my everyday wheelchair onto the transfer seat. I’m then strapped in tight and escorted to my seat on the plane. Meanwhile, my wheelchair is taken away and placed in the luggage hold of the place – tagged and marked so that when we arrive, luggage handlers know to get the wheelchair back to the door of the plane, ready for my exit – again, with the transfer seat being deployed by ground staff at our destination. Although the whole process is fairly smooth for me (usually), for others it can often be a chore, and I’m aware that there are major campaigns currently in aid of wheelchair users being allowed to remain seated in their wheelchair whilst on the plane. Another contentious issue that you may encounter when travelling by plane, is that one time where ground staff aren’t ready for you, and you’re left seated on the plane long after everyone else has departed and the cleaning staff have taken their place. This is has happened to me on a couple of occasions, once in London and another time in Oman. In London, the delay was so bad that I missed my connecting flight – but it’s not all that bad, it resulted in a free upgrade to Business Class for the remainder of my journey too and from New York! If you’d like more information on travelling with a disability, or to find out more on plane travel with a wheelchair, why not check out Easy Access Travel: Flying with a Wheelchair? Four accessible things to do in Bangkok.